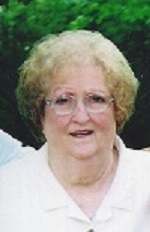 Doris Brande of Hendersonville, TN passed away Thursday, July 5, 2018 in Hendersonville. Doris was born May 17, 1934 to the late James William and Alta Mae (Travis) Settle. Doris was a very dedicated wife and mother to her family and loved the holidays, especially Easter and Christmas. In her spare time Doris enjoyed playing board games, cards, bingo and working puzzles, as well as participating in arts and craft projects. She liked to watch old movies particularly around the holidays and thoroughly enjoyed spending time with family and friends. On July 4th, 1954 Doris was united in marriage to her loving and devoted husband of 45 years, Jeff Leon Brande, who preceded her in death in 1999. She was also preceded in death by her sisters, Dorothy, Lois, Martha, Mildred, Wilma Dean and Evelyn. Doris is survived by her 3 children, Gail (Bill) Wilson, Donna (Bob) Gamper, and Dr. Jeffery L. Brande; grandsons, Jake Gamper and John Daniel Wilson. She will also be dearly missed by all of the staff and residents at Brookdale Independent Living Facility (formerly known as Pennington Place), who all became part of her family. Doris’s family would like to sincerely thank the staff at Brookdale for the love and exceptional care they’ve provided for their mother over the last 7 years. Family will receive friends on Thursday, July 12, 2018 from 12-2pm at Hendersonville Funeral Home (353 E. Main St; Hendersonville, TN 37075) where a celebration of life will follow at 2pm. Burial will take place next to her husband at Hendersonville Memory Gardens.